Research universities throughout the country are working to solve complex problems, and they rely on massive amounts of data to help them do so. However, this can lead to large-scale data management challenges. To grow programs and attract talent, research universities must process mass quantities of data in an organized and secure fashion while maintaining system performance. They also must achieve these goals despite budget constraints and funding challenges. 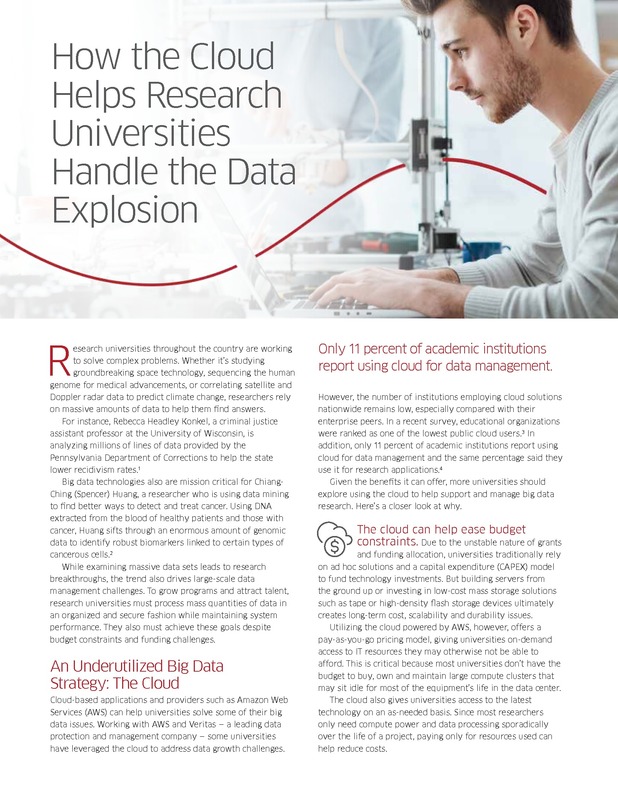 This issue brief discusses how the cloud offers universities significant advantages, including cost savings, scalability, performance and data security to propel their research efforts further, faster.